With renewable energy being at the forefront of issues with many climate advocates, utility companies are often seen as culprits when it comes to slowing down clean energy legislation. In 2016, only 1.5% of Florida’s energy came from renewables. Representative Anna Eskamani (D-Orlando) filed a bill this legislative session that will require the state to draft a plan for 100% renewable energy by 2050. “If you’re a major utility company you play a role in this, if you’re a small business that’s experimenting in piloting solar energy in different fields and areas of the state, you are part of the solution; if your part of the industry around wind and the use of wind as an energy source, you can be part of the solution; if you’re a farmer you can be part of the solution,” said Eskamani. Her bill hasn’t gotten any committee hearings. The Orlando representative points to the influence utility companies have on legislation like hers. There are five major utility companies in the state. Florida Power and Light is the state’s largest provider serving around five million accounts. It's launching several projects aimed at growing its renewable energy portfolio. “We pride ourselves in making great advancements in clean energy generation though out the state and with renewables we have recently launched one of the largest solar expansions ever in the U.S. with plans to build 30 million solar panels over the next several years by 2030,” says FPL spokesman Stephen Heiman. FPL also recently announced their plans to build the world’s largest solar battery, estimated to power around 330,000 homes. Today renewable energy makes up just under 1% of FPL’s overall fuel mix. Heismen says the company has plans to reach 20% by 2030. Senator Jose Rodriguez (D-Miami), the bill’s sponsor in the senate, says major utility companies like FPL may advertise their solar initiatives, but they’ve done little to push it with lawmakers. “One of the biggest frustrations from an environmental and economic standpoint, is the total lockdown that the utility companies have on our energy policy here in Tallahassee. It’s a shame. FPL puts a lot of money behind advertising about their solar, but in reality FPL has been using all their political might and muscle to try and prevent any real solar legislation here,” said Rodriguez. Duke Energy is the state’s second largest energy provider. Out of the 9,000 megawatts of power the company provides, 100 megawatts come from solar energy. Spokeswoman Ana Gibbs says Duke Energy is committed to upping that and the company recently announced three new solar sites to raise their solar energy production to 700 megawatts by 2022. “I know a lot of people may be concerned with how does that impact our environment so in addition to that solar investment those three solar plants that we just talked about will actually eliminate 800 million pounds of carbon dioxide emissions in Florida each year; once they go into commercial operations because were still building them. That’s equivalent to taking about 70,000 passengers off the road each year,” said Gibbs. 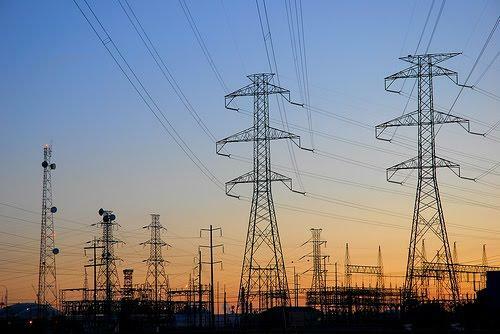 Major utilities are listening to the demands of their consumers, and slowly changing on their terms, but Eskamani and Rodriguez believe their foothold in state policy is preventing lawmakers from providing comprehensive results.